Party MetaZoa Productions – the company that birthed Suboctave Music Festival – has done it again. Another fantastic festival that already has me excited for next year. They created a respectful & loving atmosphere that turned a crowd of strangers into a family. The handpicked collection of stellar artists, painters, & flow art performers came together to make the 2017 installation of Suboctave one for the memory bank. 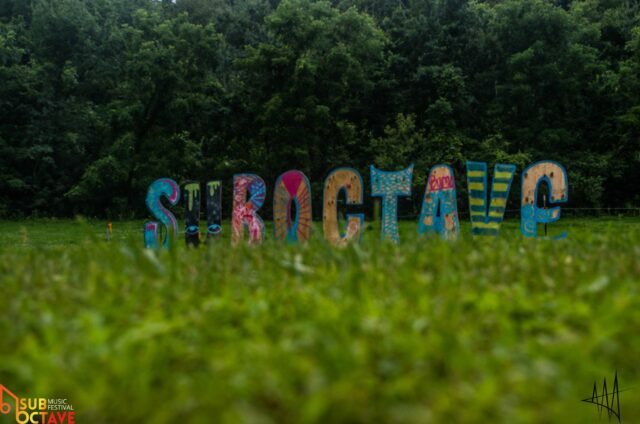 The Suboctave Music Festival truly stepped their game up this year when it comes to entertainment of all creative categories. The areas surrounding the stages were littered with jaw-dropping canvases side by side to their creators. Suboctave ended up featuring a cluster of unique and creative live painters that added artsy overtones to the entire experience. If I had to narrow down my favorite live artists my list would look something like this: Tom Loranz, Lincoln E. Rust, Kooz, Kyle Hughes, & Ben Ebene. In no specific order at all, these were just the artists that truly amazed me while I was viciously drawn to their canvases. I can go on and on about the plethora of fantastic artwork but you get my point – the art was fire. The fire flow artists that Suboctave implements into their fest have always been stellar however they really kicked it up a notch this year. Everything from fire fans, to hoops, to staff, and even dragon staff – hell- they had fire BREATHERS! Not only were the featured flow artists mesmerizing but a majority of the attendees had flow up their sleeves. Emazing Lights, which is one of the most well-known organizations within the gloving scene, even showed up to melt faces and scramble minds throughout Outback Ranch. If one were to browse around the venue you’ll see smiling faces spinning everything from poi to rope-dart & dragon-staff; the flow never ended. Not only did the flow never end but neither did the music. The spacious indoor stage, known as the boom-room, hosted artists until the early mornings for those trying to keep the party raging on. Not only did Party MetaZoa do a splendid job choreographing the production but they also offered opportunities for those who want to keep their night raging on. With headliners like G Jones, Bleep Bloop, Champagne Drip, Clozee, Levitation Jones, and many more gracing the main stage with righteous headbangers & strange, experimental low fi & deep dub. The stage was hard to stray away from. The audience was completely floored after every set; time after time. However it didn’t stop there. Not only were the singular sets amazing but also the vast number of back to back sets stood out as well. Brothers Toadface & Yheti went back to back the second night leaving their audience tingly inside and wanting more. Suboctave planned accordingly. The festival’s top-tier stage was closed out with a performance that attendees won’t soon forget. The main stage ended with Space Jesus, followed up by Liquid Stranger. As if that wasn’t enough Liquid Stranger ended up going back to back Space Jesus and golly, what a wild ride that was. After dropping banger after banger, they ended up closing their b2b set out with one of their rarest tracks. Dragonhawk, which was first played during the first week of Electric Forest graced the audience’s ears once again. The track was as fun to listen to as it was to headbang to. Space Jesus and Liquid Stranger brought their audience together during their track by having them give their best Dragonhawk noise. ‘SQWWWAAAAAAA’ roared throughout the peaceful valley of Outback Ranch. After the crowd dispersed from the main stage secret sets started popping up sporadically throughout the camping grounds. The pop-up stage I couldn’t leave was the Wub Life stage which was located at the beginning of the camping area. Artists from Faceless Future Collective as well as other artists put on a stellar follow-up to the main stages back to backs. The act started off with CNTRL. b2b Gloom Trench and they kicked that set off with some heat. Indigo Child popped in from time to time just to add a lick of his signature deep dub to the fire. Aliens At Work b2b Zero Gravity followed up to keep the Wub Life stage ablaze. After the headbangers Gloom Trench went b2b with Indigo Child to take their crowd from the swamps to the edges of outer space with one of the deepest sets of the weekend. 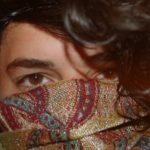 Ever since my first time attending the Suboctave Music Festival it has been in my top three favorite festivals of all time. Everything from the extraordinary artists to the respectful, tight-knit vibes has kept me addicted. The educational workshops, the standout vendors like Grime Matters and Fractal Spirit, to the jaw-dropping venue makes Suboctave Music Festival one for the books. What once was a ranch in Minnesota has now become a home for many across the country. It has truly been a blast watching this festival evolve into something so beautiful and brotherly. A tip of the hat to Party MetaZoa & all those involved in the creation of this memorable festival. Even though this gathering has created an increasing following something tells me that this is only the beginning.